Shop online for 11 western plastic models at discounts up to 22%. This is the 1/90 Scale Westward Ho! 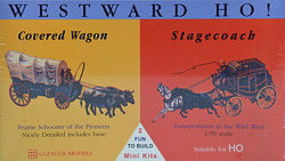 Covered Wagon with Bison & Stagecoach with Horses Plastic Model Kit from Glencoe Models. 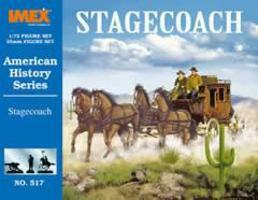 Assemble a Stagecoach with this 1:72 Scale Plastic Model Kit from the IMEX Model Company American History Series. Suitable for Ages 8 & Older. 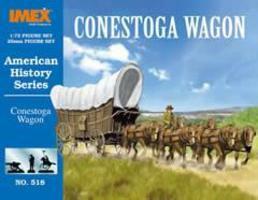 Assemble a Conestoga Wagon with this 1:72 Scale Plastic Model Kit from the IMEX Model Company American History Series. Suitable for Ages 8 & Older. This is a plastic collection of a 1/72 Sioux Indians Figure Set (unpainted) from IMEX. It's part of the IMEX American History Series. 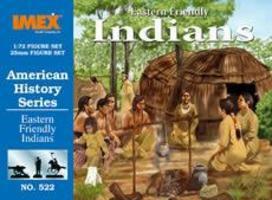 These are Eastern Friendly Indian Figures from the IMEX American History Series Suitable for Ages 6 & Older. 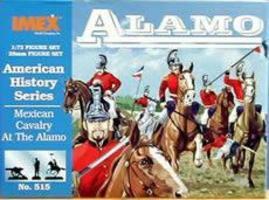 This is a 1/72 Scale Mexican Cavalry at The Alamo Plastic Figure Set from the American History Series by Imex. 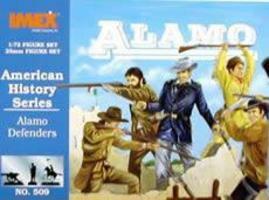 This is a Set of 1/72 Scale Texas Alamo Defenders (unpainted) from the American History Series by Imex Model Company. 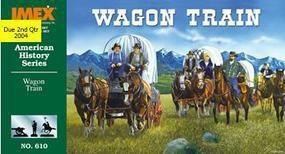 Recreate a Wagon Train with this 1/72 Scale Plastic Model Figure Set from the IMEX American History Series. Suitable for Ages 8 & Older. 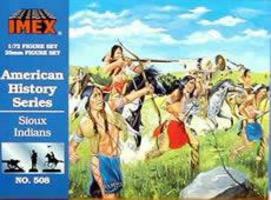 This is the 1:72 Scale Lewis & Clark Plastic Figure Set from the American History Series by IMEX Model Company. Suitable for Ages 6 & Older. This is a 1/72 Scale Mexican Artillery at The Alamo Plastic Figure Set from the American History Series by Imex. This Mexican Infantry Is A 1:72 Scale Plastic Figure Set (unpainted) from the American History Series by IMEX. Suitable for Ages 6 and Older.